Light on Publications, 9781732506602, 340pp. An enchanting, inspirational story set in 1950s New York City with Jesse, a 6 year-old, orphaned boy of comic charms and soul-lighting wisdom. He is raised by his beloved Irish gypsy grandmother, Dearie, who owns her own theater, and his uncle Conor, who is studying at the Actors Studio. They reside in a lively apartment building, where Jesse has friends, both young and old, in a melting pot of neighbors with the lingering accents of their old countries. Jesse loves to solve a puzzle, and he alights on a jig-saw of a mystery twisting around his other "disappeared" grandmother. It becomes his quest to find her, and with imagination and unflappable determination, his inborn magic touches everyone around him in many an adventure. Jesse has his ups and downs in curious riddles and emotional challenges, all swirling through a world of theater, music, classic literature and gypsy storytelling. 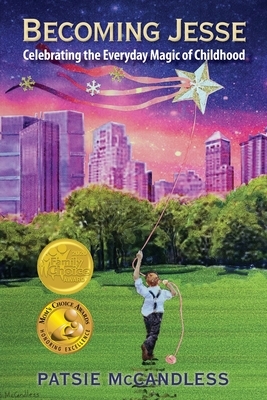 His everyday magic is celebrated and guided by the wisdom and humor of his precious grandmother, Dearie, and the true meaning of love's blessings flows through Jesse's quest, finding its way into his joy and inner light.